As spring turns into summer in Seattle there are few places better to than on the water. To get summer started we have a treat for you for June’s social media lunch. That’s right, we’re taking SMLunch on the road and in a duck. 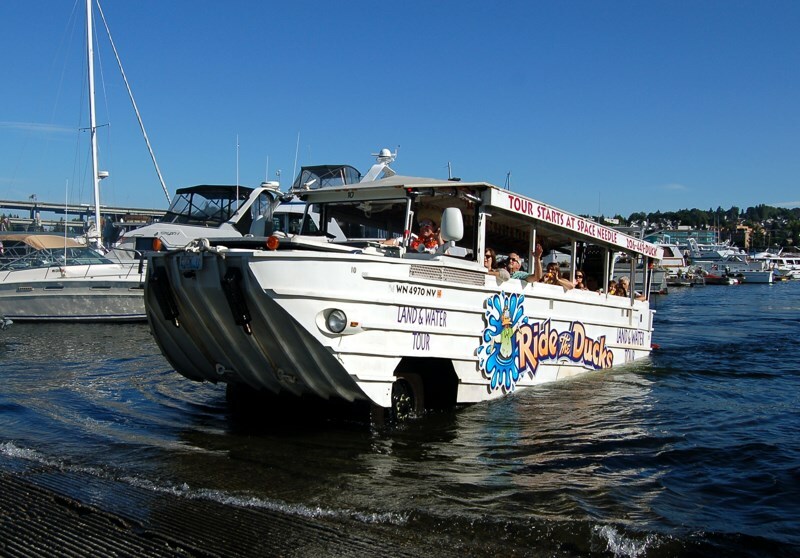 Ride the Ducks of Seattle has been voted the #1 City Tour for the past seven years and is a must-do experience whether you’re visiting from around the corner, across the country or around the world! For this month’s Social Media lunch, we’re hopping #onaduck to see why more than 2 million guests return over and over to see Seattle by land and water! You can buy your tickets here and you can learn more about Ride the Ducks of Seattle on their website, follow them on Twitter, or check out their photos on Instagram.